I’ve actually seen a lot of people consider leaving KDP Select because they think the Unlimited plan is horning in on actual sales. I was wondering about this, but you brought up a good point. Kindle Unlimited allows people to try your books for ‘free’ when they might not have made the attempt in the first place. It’s almost like have a constant free sale without having to drop your price. If that makes any sense. Yes, I think you’re right about that. At least, the potential is there. Maybe you can answer something for me. I’ve been trying to figure out that line chart on the Kindle Report page. What data is it talking about as far as the ‘Paid/Red Line’? For example, this thing says I sold 23 Paid Units yesterday, but the Month-to-Date Unit Sales section shows maybe 5 sales among all the books. Some of those may have even been today, which says I already sold 2, but it doesn’t look like I sold any by the numbers. So, do you happen to know what that red line is connected to? I believe the Sales Dashboard shows sales approximately when they are made, while the Reports shows sales approximately when the payment has been processed. Depending on the payment method, there can be a significant delay. There has been some discussion of this lately, perhaps with lengthy delays (several days) in recent weeks. Have some of the sales begun to show yet? Yesterday I saw a slew of sales turn up, but some of the days still don’t add up. Like one day that I only saw 1 sale, but the chart mentioned about 11 or something. According to the chart, I’m always ‘selling’ over 10 a day, but all month I’ve only seen 1-3 sales in the report until yesterday’s boom. Sorry. There were 3 days that I was under 10. Yet I still didn’t see everything show up. Thanks for sharing your stats. It’s interesting to see how things balance out. I’m trying to figure out when you actually get paid for the Kindle Unlimited units? Is this a separate payment from the paid units when you choose EFT? I can’t find a clear answer anywhere in plain English. It’s not paid separately. They appear as KOLL borrows in the previous months’ royalty reports. You get paid for sales and Kindle Unlimited at the same time, about 60 days after the month ends. Okay so it is a combined payment. Thanks for replying so fast! I wish Amazon was more clear (they probably are I just haven’t found it yet). Can you tell me what is KU/Koll units and how does it work? The bottom blue line graphs shows lot of sales approximately 1000 last month. But I have not received any payment and when I go on the previous month sales it says it lists them but says they are free promotions. The red graph on the top shows sales. The green graph on the top shows free promotions. The blue graph on the bottom doesn’t show sales. 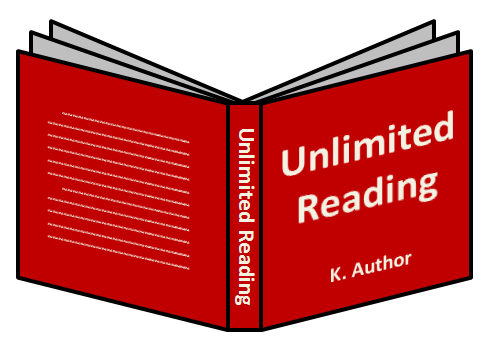 It shows the number of pages read in the Kindle Unlimited (and Amazon Prime) programs. If you see 1000 there, that’s 1000 pages read. It typically pays about $0.0051 per page read, which would come out to about $5. You don’t get paid until approximately 2 months after the end of the month. So for September, you would get paid around the end of November, and for October’s sales, you would get paid around the end of December.